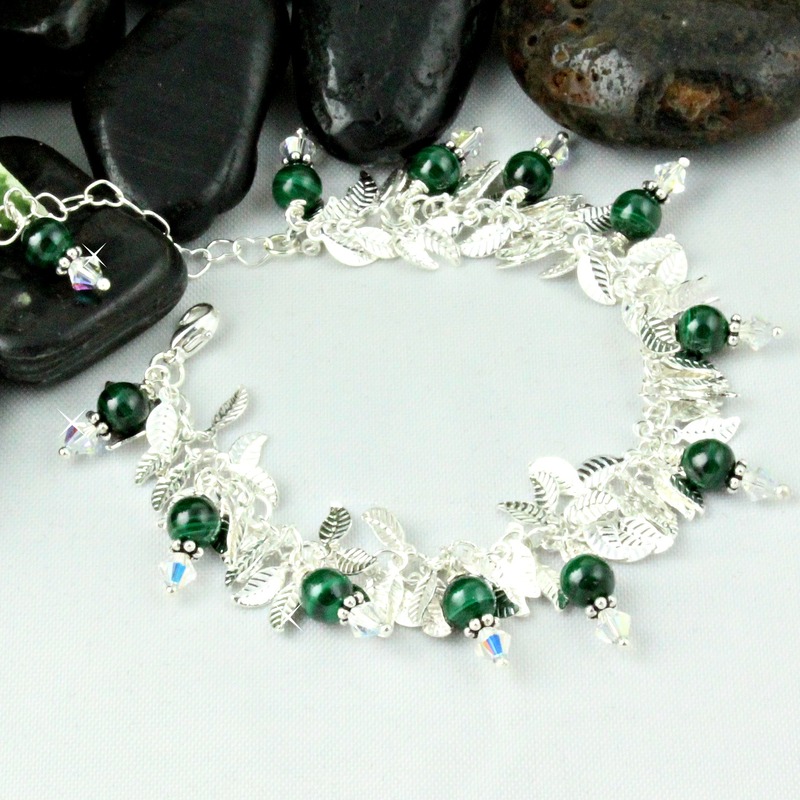 Luxurious Malachite and Austrian crystals combined with silver leaves make this bracelet just spectacular! Light green and dark green are marbled together in this beautiful gemstone to really make a show-stopping accessory. You’ll definitely want this bracelet to complete your wardrobe!